We’ve already talked a lot about Instagram Stories on the blog. Such as how to produce your own professional looking Stories using our app, why Stories are so effective for businesses when used correctly, and I’ve given you plenty of ideas if you’re stuck on the creative side. Another common pain point for Instagram users that I’m going to help with in this article is reaching a targeted audience when you’re new to the platform or have a relatively small following. There is a simple solution to this problem – paid Stories Ads and Promoted Stories. Now, it is going to cost you money. But, as with all ad campaigns, when done right you can see a positive ROI and scale up from there. Plus, it’s worth investing a small budget into ads to test the waters if you want to grow your brand, and the worst-case scenario is that you add some more followers and learn about your niche. If you’re new to ads, don’t worry. In this article, I’m going to go through how you can use Ads and Promoted Stories on Instagram to reach new followers, promote your brand, business, services, and products, to an already engaged audience. 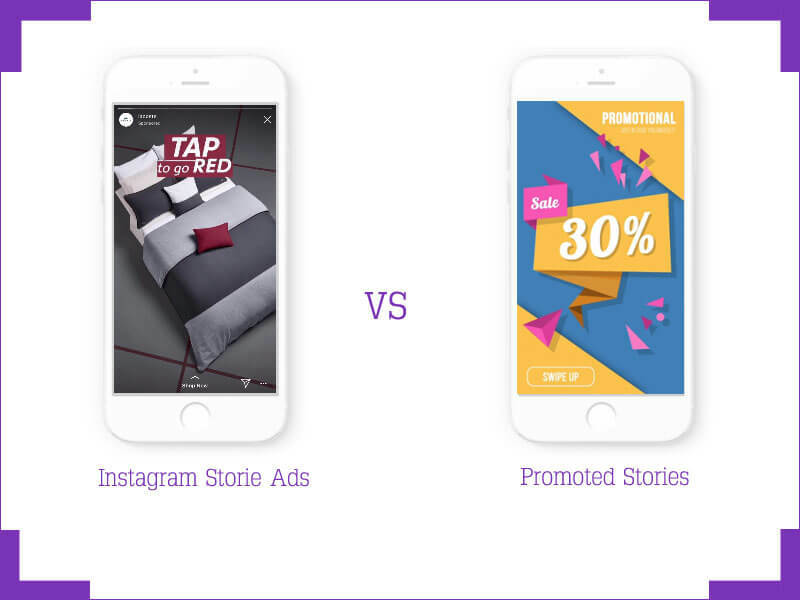 Are Instagram Storie Ads and Promotions Worth It? As I mentioned above, the whole point of running ads is to return a positive ROI, or at the very least create brand exposure and reach a new audience. Instagram has said themselves that 1 out of every 5 Storie Ads results in a direct message from a viewer. As well as revealing that 75% of Instagram users take some form of action after seeing an ad, such as visiting a website or making a purchase. So, Instagram has confirmed that Storie ads are effective when reaching the right audience, and if the message is clear you have a high chance of converting. 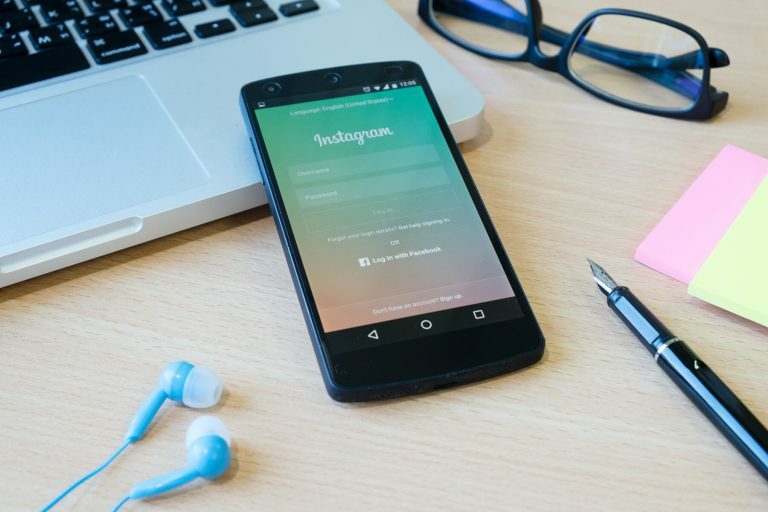 If you’re running Instagram Ads for the first time you’ll need to start by connecting your account to your Facebook page. 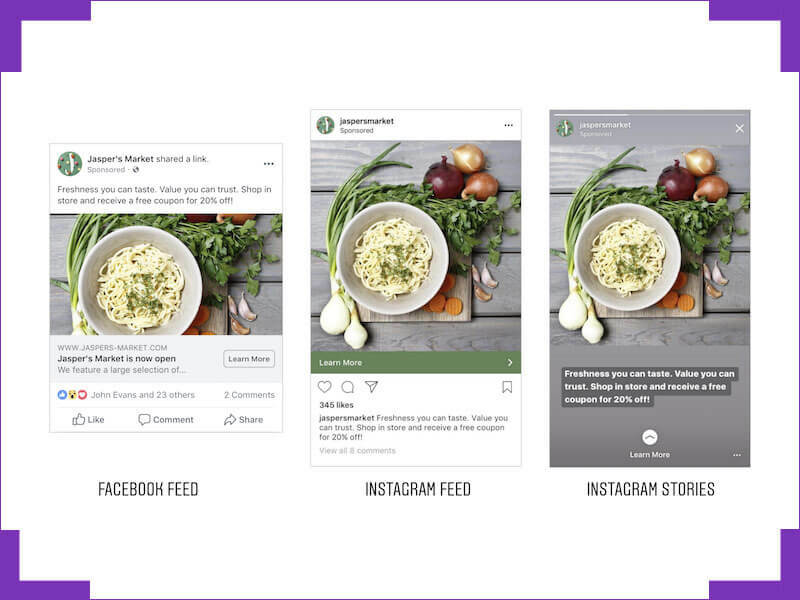 You can then use the Facebook Ad manager to create Instagram Ads that will show up in your Stories. Where it really gets deep, and this could be a whole post of its own, is targeting the right demographics for your ads. Demographics – The location, age, income range, etc. Behaviors – What your audience buy, watch, do, etc. Interests – What they engage with, like, share, etc. You have the power to really zero in on the exact types of people that are most likely to want to see your ad. This is the largest contributing factor to your conversion rate, so be prepared to do some testing. It’s worth remembering too that your ads can contain three frames that are videos, photos, or a mix of the two. This means the viewer has to tap through three pieces of your content, I will give you a bit more detail on how to construct this below. Ads have a small label in the corner making the viewer aware they are paid placements. This means the average viewer is less likely to swipe the content, but a short, punchy message that takes their attention can change this. This takes the viewer on a short journey from being interested in what they see (because you targeted them), to disclosure on the price, and an easy to way to make the purchase. Instagram users want to see videos of products and services in action over still images. After all, the platform is ideal for video and it’s just a much better way to showcase products in action. If you aren’t yet using vertical video this is something you should consider too. 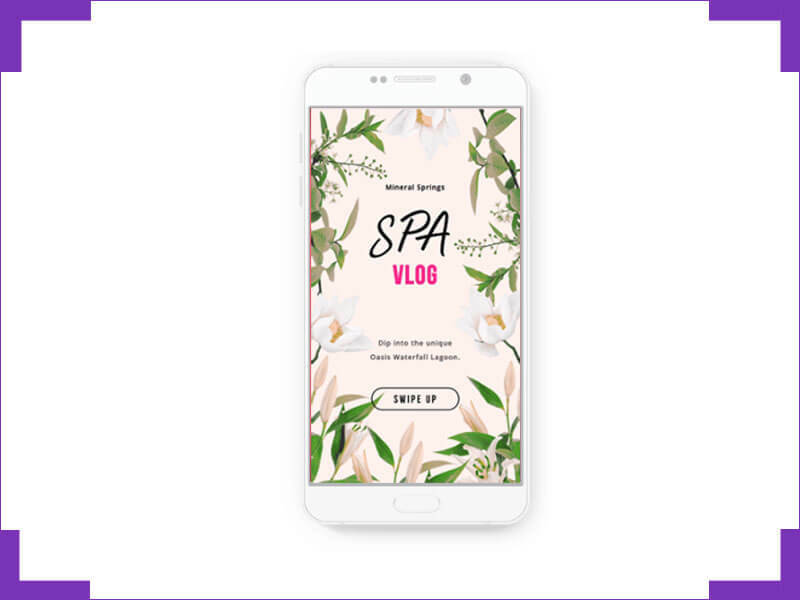 It’s fast becoming the preferred choice for large brands because it’s more mobile friendly utilizing the length of the screen and makes it easier to demonstrate products. I’m sure you will include your logo in your videos, but it’s worth pointing out that a lot of viewers will be introduced to your brand for the first time when using paid ads. Make your logo and some of the details about your business as clear as possible. Keep it consistent across all your Stories too, brand awareness is important on social media. The call-to-action (CTA) is the final thing the viewer will see, and it’s make or break if it’s strategic enough to prompt them to take action. Sure, the Storie will have done all the legwork and they’ll either be interested to take action at that point or not. But if the CTA isn’t clear and easy to understand, there’s a chance the viewer will bounce. “Swipe up” – Point out that the viewer needs to swipe up to go to your store, contact you, buy an item, whatever it is you’re directing them too. Cater to the new users as much as the experienced users. Create a sense of urgency – Use phrases like, “Limited time/amount,” ”For the first 100 customers,” “Discounted today only,” to push people on the fence into that impulse buy mode. Use simple, friendly language – Friendly, relatable tones work best on Instagram. Even the larger corporate brands are adopting a more personal touch with their language, write your CTAs as if you were talking to a friend. Think about the color – There are colors that are known to convert better for CTAs, such as red, green, and orange. Use colors that offset with your background, standout, and align with your brand. If you don’t want to try Instagram’s Stories Ads, you can now take advantage of their Promoted Stories Feature. Promoting gives you the ability to turn your existing Stories into Ads. This means you’re basically boosting your organic content, which means you can get started a lot quicker, and use content that’s already proven to be successful and get it in front of new viewers. All you need to do is select “Promote” when posting your Stories. You’ll then be prompted to choose where you want to send people, choose your target audience, and choose a budget and duration for the promoted content to run. It’s definitely worth giving Promoted Stories a try. Just set a reasonable daily budget and dig into the analytics to see how your posts are performing, and if you should pull back to add more to your budget. How Much Do Bloggers Make on Instagram?